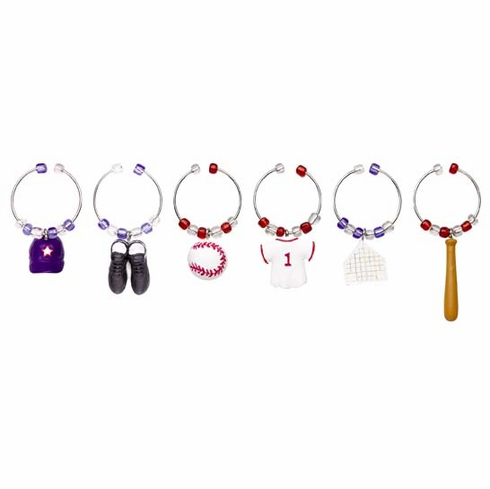 This Play Ball Wine Glass Marker Set is perfect for entertaining your baseball guests. 6-piece set includes 1/2" hand-painted charms attached to metal rings. Set includes bat, baseball, cleats, jersey, home plate and cap.